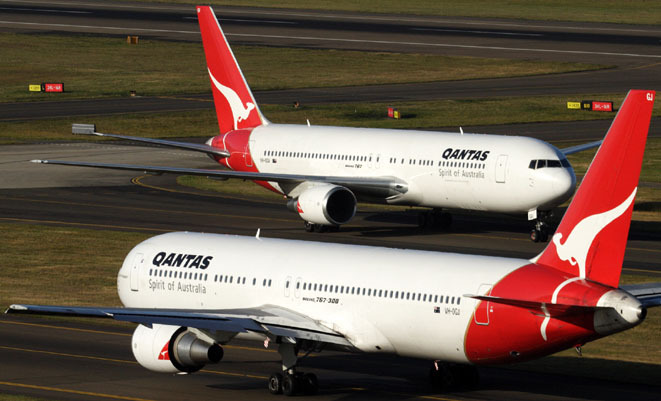 Qantas will cut 167 jobs from its Engineering division as part of the group’s ongoing efforts to turn around its flagging fortunes. The job losses are part of some 5,000 jobs cuts the airline is implementing, and will come from Sydney and Melbourne and reportedly include front line engineers and back office support staff. Media reports say 73 of the job cuts are licensed aircraft maintenance engineers, 36 are from support and admin positions, and 58 from components maintenance services. Have to move on… To where. My father has been a Qantas licenced engineer for 26 years. He loves his job and is very good at it. But where is he to go? Virgin? They have 300+ applications. I think in the medium term Qantas are going to get in trouble trying to find licence coverage. As a lot of days they already struggle. There is so much OT going around cause they don’t enough licenced engineers. Its a very specialised job. They need to hold on to a few more people. Especially the young ones they are sacking. Anyway that’s my 2 cents. I hope the qf board can pull there finger out and turn the company around without cutting to many people. I know quite a few of the blokes caught up in this redundancy – some are reluctant to go, others have embraced the change. Strangely, at least one of them was contacted by SMS to work overtime the day immediately after he was retrenched. He was planning on going in and signing on – jst to see what would happen. The remaining AMEs and LAMEs can effectively write their own overtime ticket. They’re cutting staff in the training school too, even though they have a 20 year contract to provide A330 maintenance training to an outside customer. I just don’t understand the rationale, and I suspect that vast areas of upper management don’t have a blind idea about what goes on at the coalface. It’s a shame to read this article on QANTAS redundancies, after having finished the earlier write up regarding Emirates ongoing expansion and unbelievable orders from Boeing, and Etihad starting up one stop flights from BNE to Britain and Europe. So sad to read of all the expansion / new orders for our neighbours. Then in the same newsletter, there’s a photo of QF’s ageing fleet, and shrinking essential workforce.